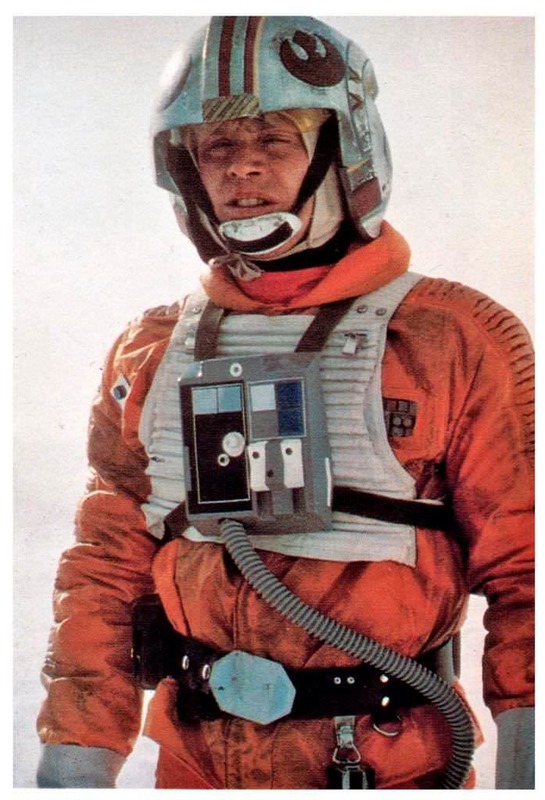 There is a 'standard' for Luke Skywalker Snowspeeder / X-Wing Pilot in ESB, however, I'd like to submit a revision. I'll post up both the original and the revision requested below with explanations and references. 11. Gray suede boots with suede wraps around them and 3 white straps. 2. It is listed the Flight jacket has a zip front but it is a velcro closure on the front of the jacket. It is noted in Star Wars Costumes, The Original Trilogy book that the jacket has a Velcro front closure. You can see at the top of the collar the Velcro. 6. Flax Vest, Luke's vest. 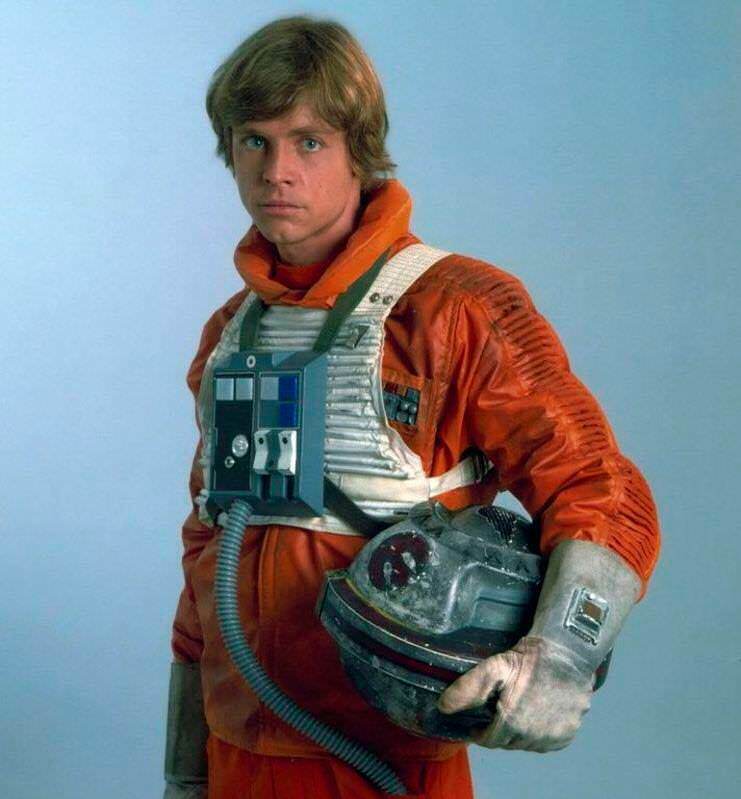 It should be noted it is also worn backwards from the X-wing vest and there are two additions added on Luke's vest over the standard Snowspeeder Pilots vests. First, There are 2 rivets/washers on each of the shoulder straps on the 3rd row of stitching up from the top of the vest. Second, There are 2 metal hooks between the 1st and 2nd row of ribbing on the vest. 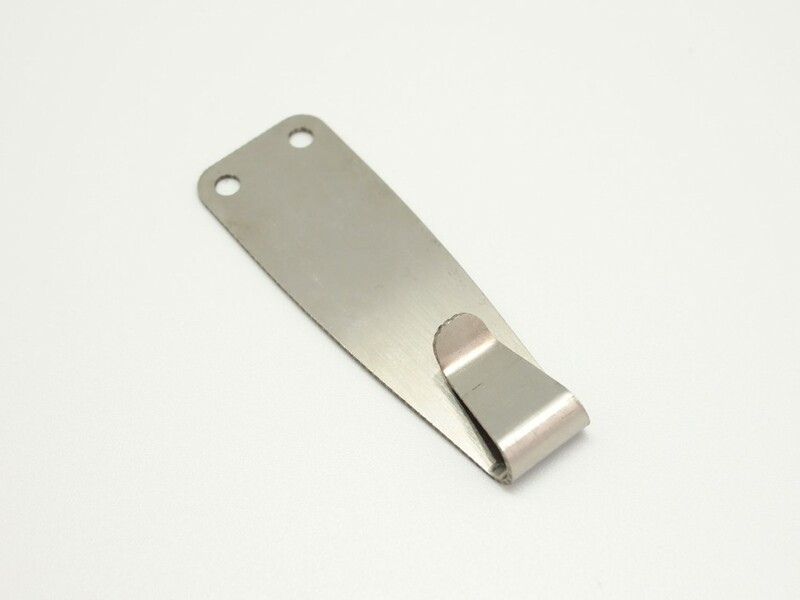 These appear to be the same size metal hook used on the belt to hold the lightsaber. You can see the lightsaber hook here in comparison to the vest hooks. And a standard Snowspeeder pilot without the extra vest details. 12. 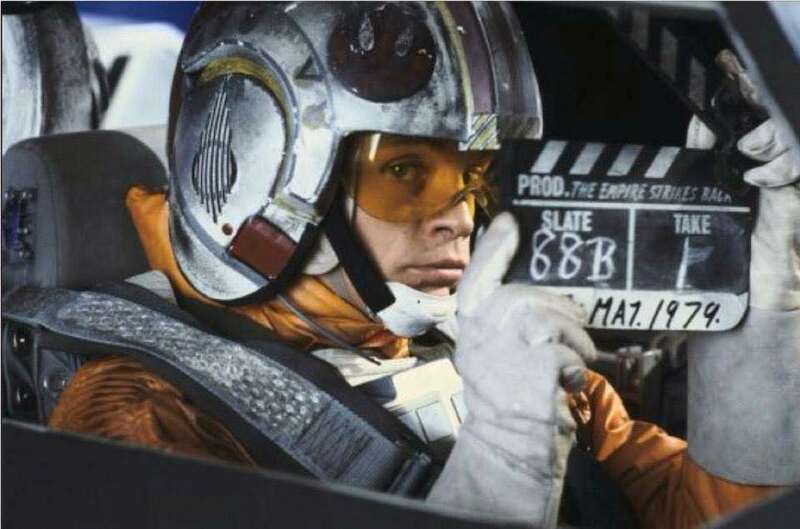 There should also be added that Luke is wearing the Off-white/Beige balaclava or cloth-covered soft helmet. You can see Luke is wearing the cap in both these photos on Hoth sequences. 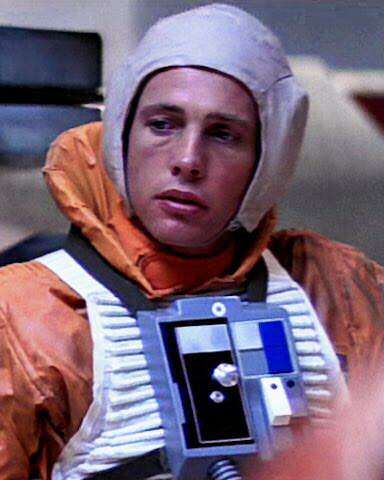 A side note the cap is absent when he is on Dagobah when he takes his helmet off when exiting the X-Wing after he's crashed. Yeah it does, I compared my hook that's on my belt for the lightsaber and its looks like it would fit where the rivets are and where the hook is exposed. Good eye. I have two hooks in the mail so once they arrive I can lay them on the vest to compare. I think that you've got a good start here, definitely. And the standards have been in desperate need of updating. Just need some more detailed descriptions-- the more detail the better. Is that a rank badge, Alex? Yes, I think that is his blue commander rank badge. Ah, that could be. It's just such a weird position for it, and a weird angle, too. And the thing in the left chest window pocket is also supposedly a rank badge... He's just double ranking! I’m building this costume right now. 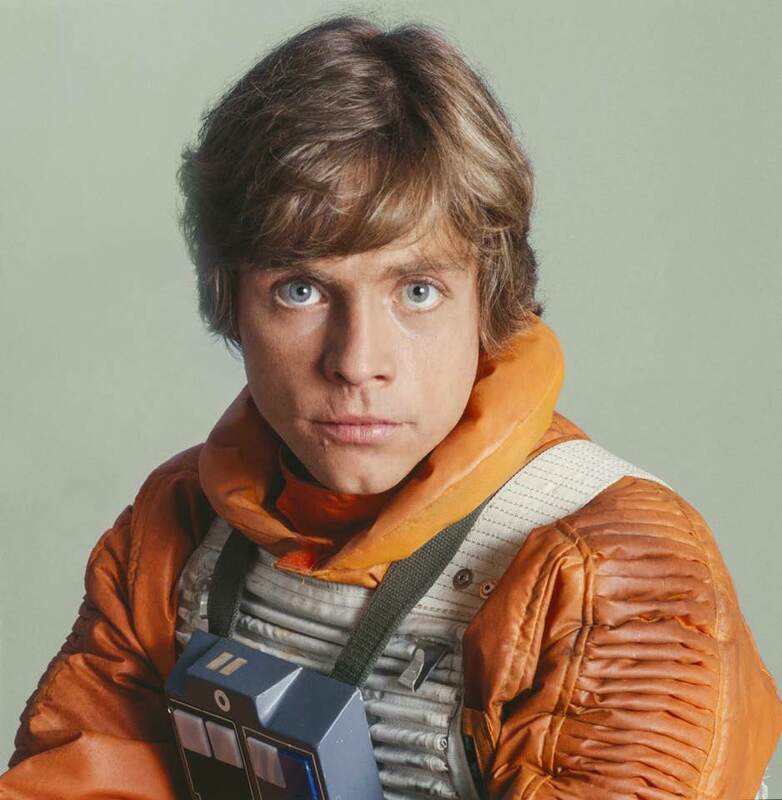 I’m certain that the hooks on Luke’s vest are lightsaber d-ring belt clips, as previously suggested. Looks great guys. 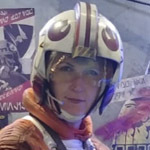 I always wondered why Luke had the hooks and the regular Snowspeeder pilot did not. Same with the rivots for the shoulder straps. I guess they wanted their hero to look a little different and seasoned?